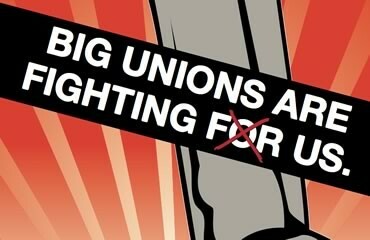 What do you call a union member who doesn’t vote for Barack Obama? No, this isn’t a setup for a terrible joke. 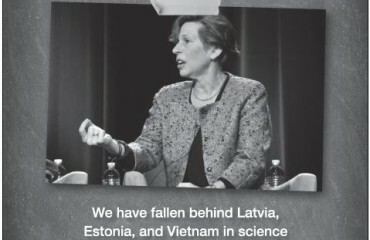 It’s the issue AFL-CIO President Richard Trumka addressed in a recent interview with Reuters. 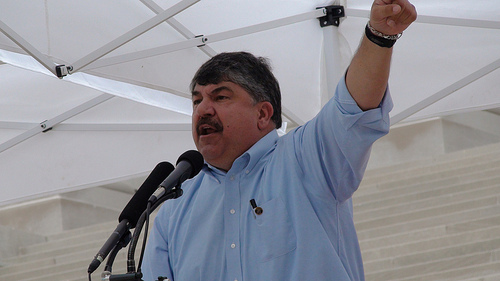 So what are Trumka’s thoughts on the AFL-CIO members that didn’t vote for Obama in 2008? There’s not a single good reason for any worker, especially any union member, to vote against Barack Obama. And there’s only one really, really bad reason to vote against Barack Obama. And that’s because he’s not white. According to exit polling by Hart Research in 2008, 30 percent of AFL-CIO members voted for John McCain, and 67 percent voted for Obama. This is why union bosses want to keep members in the dark when it comes to their rights on paying dues that go to political causes. If paycheck protection was the status quo, how else could Trumka be sure that those who disagree with him get no voice? The Reuters article also notes that Trumka will spend millions of dollars on the efforts to get Obama reelected and in activating union members in key battleground states. Trumka does not have the intellectual honesty (or even curiosity) to examine reasons why union members might not want to move in lock-step with union bosses. Instead, he goes for an easy accusation. In a world with paycheck protection, when 42 percent of union households vote for Republicans–as they did in 2010–labor bosses would have to justify their lopsided spending. In the least, they would have to try to understand why rank-and-file members would vote another way, despite labor efforts and millions of dollars spent. But it’s those easy justifications—racism, gun nuts, and ingrained ideology—that helps Trumka ignore the rights of union members to speak for themselves. In Trumka’s world, Big Labor knows best, and if you don’t agree, there must be something wrong with you.